Just a 3 minute walk to the world famous Sagrada Familia, Barcelona and You offers a unique and memorable experience for your stay in Barcelona. 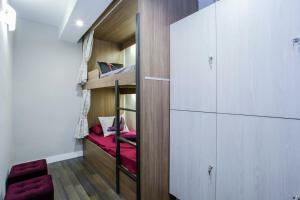 The hostel consists of 3 rooms (totalling 19 beds), a common area, kitchen, exclusive women’s shared bathroom and exclusive men’s ones, and reception area. Upon check in, each guest will receive a key to his/her individual locker to store your luggage and valuables for the duration of stay. Each bed comes complete with linens, pillows, blanket, a personal light and a power outlet. Coffee/tea, high speed WIFI and breakfast are provided free for all guests. Please note that towels can be hired for a fee of 2,50 € each. Please inform Barcelona & You in advance of your expected arrival time. You can use the Special Requests box when booking, or contact the property directly with the contact details provided in your confirmation. 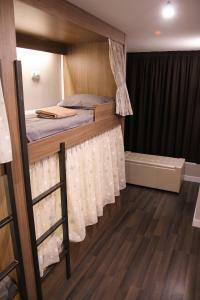 This dormitory has an occupancy for 4 and is specific to girls. 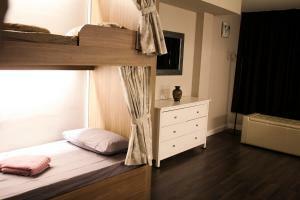 Each bed comes complete with a personal light and an electrical outlet. 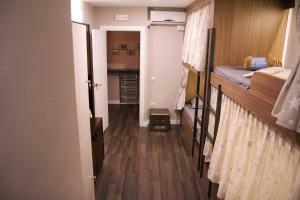 Each guest has access to a large locker, of which we will provide the corresponding key at check-in. Rate: € 30.60 ... € 35.70; select dates below to get current rates. 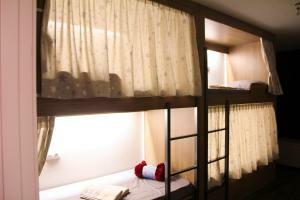 This dormitory has an occupancy for 4 and is shared between men and women. 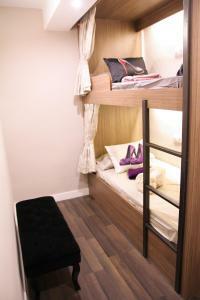 Each bed comes complete with a personal light and an electrical outlet. Each guest has access to a large locker, of which we will provide the corresponding key at check-in. 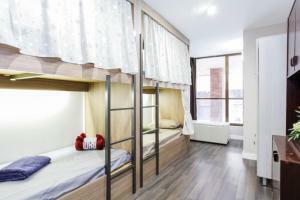 This dormitory has an occupancy of 11 and is shared between men and women. 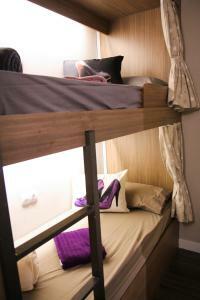 Each bed comes complete with a personal light and an electrical outlet. Each guest has access to a large locker, of which we will provide the corresponding key at check-in. Rate: € 31.45 ... € 32.45; select dates below to get current rates.